1; the first time such an approach has been used on vertebrates in the wild. The operation, which began on 12 January on North Seymour island in the Galápagos National Park, aims to protect native animals and plants from the destructive rodents. Rats and other non-native species have caused extensive damage to the Galápagos whose unique flora and fauna evolved into isolation for millions of years. In the process, native species lost many defense mechanisms against predators. Rats, which reproduce quickly and eat a wide variety of plants and animals, have been a target of eradication campaigns across the Galápagos. North Seymour had been released since 2007, but last year, two species of rat were detected there, says Karl Campbell, a pest-control specialist at Island Conservation, the conservation group in Santa Cruz, California, which is coordinating the drone operation with the managers of Ecuador's Galapagos National Park. The rats eat the eggs and nestlings of the island's seabirds, including storm petrels and Galápagos shearwaters. The rodents also threaten the fragrant paloma tree () Bursera graveolens ) and Opuntia cactuses by gnawing on their limbs and eating their seeds. Conservationists hope that if rats are eradicated from North Seymour, vulnerable lava gulls ( Larus fuliginosus ) that have disappeared from the island will return to nest once again. than a tried and tested tool – helicopters – but safer and easier than spreading the bait by hand on the extremely rugged terrain of the 184-hectare island. 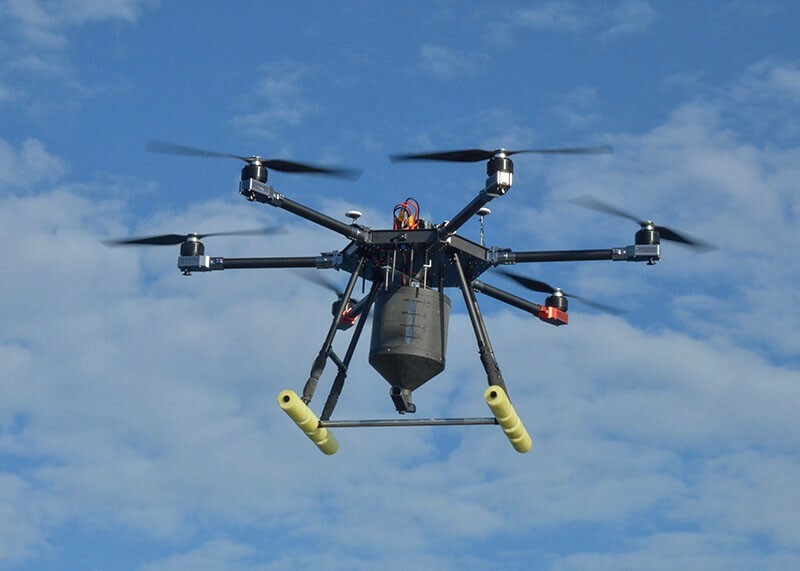 On January 12, a team using two six-rotor drone copters started spreading bait with rat poison around North Seymour island and a nearby islet called Mosquera. 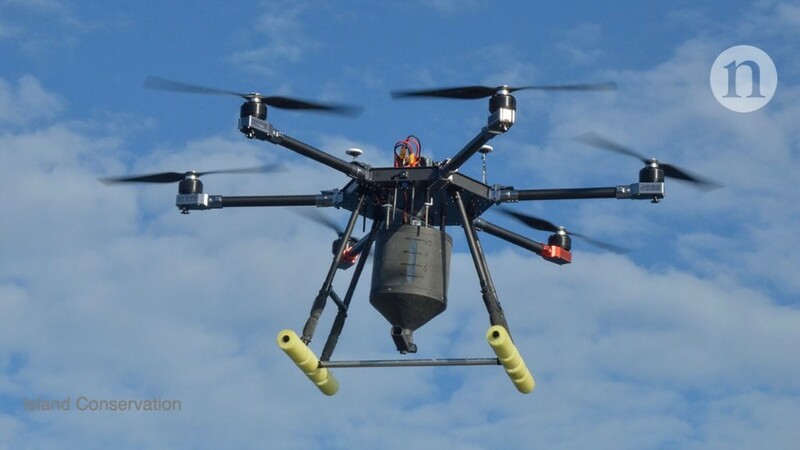 Each drone can carry up to 20 kilograms of bait for up to 15 minutes. Mechanical difficulties with the drones shut down when only half of North Seymour was treated, and workers had to spread the rest of the bait by hand – creating a natural experiment that could provide useful data on the drone approach. Island Conservation plans to compare results in the drone-baited and hand-baited halves of the island. The group intends to drop a second round of bait by drone in a few weeks. It will then monitor rat activity on the island for two years. Using drones for animal control is new, but conservation scientists are increasingly using the devices to monitor animals and ecosystems, and even to collect samples or spread seeds, says Serge. Wich, a biologist at Liverpool John Moores University, UK, and a co-director of the Conservation Drones website, which follows the tool's rise in the field. "Almost every conservation organization I work with is using drones now, in one way or another," he says. 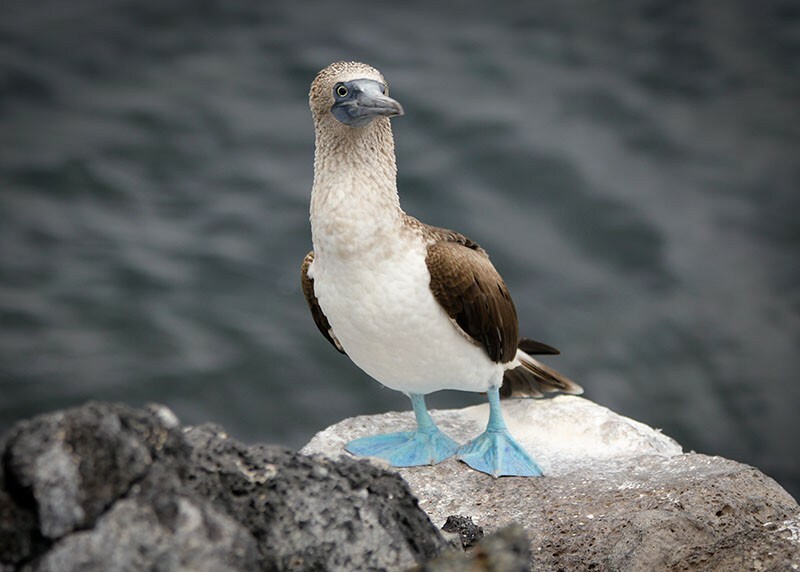 Craig Morley, an invasive-species specialist at the Toi Ohomai Institute of Technology in Rotorua, New Zealand, will be watching the Galápagos project closely. He is researching the use of modified drones to lay poison for Australian brush-tailed possums ( Trichosurus vulpecula ), which is considered pests in New Zealand because they eat the leaves and flowers of rare plants and snack on the chicks. and eggs of native birds. New Zealand has a goal of eliminating possums, rats and other predators from the country by 2050. One advantage of using drones, Morley says, is that it requires the need to cut through a forest to lay poison baits or traps. He is still working on ways to use the drones to monitor whether projects are successful, playing with acoustic, optical or other sensors that can drop the poison. Using drones can also change how conservation scientists view such work , Morley says, comparing the approach to modern warfare. “You used to be able to see your opponent. Now, you just press and you fire and missile, ”he says. "You become a little bit detached from the reality that you have killed something or somebody over there." That emotional distance could be seen as a benefit of the technology, or as a problem, says Chelsea Batavia, a scholar of conservation ethics at Oregon State University in Corvallis. She feels that people who kill animals for conservation should allow themselves to feel the moral weight of their actions, and even grieve. “Have a conversation about what you are doing and talk through as a group,” she advises. "Let the impact of what you are doing hit you."